Where does Debug.Print output messages? Where do you want to see the output? Messages being output via Debug.Print will be displayed in the immediate window which you can open by pressing Ctrl+G. 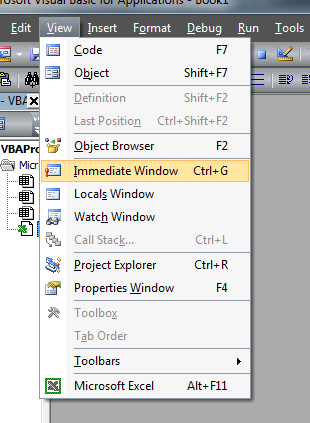 Debug.Print outputs to the "Immediate" window. Not the answer you're looking for? Browse other questions tagged vba debugging ms-office or ask your own question. How to get list of all files with ESY extension in a directory? Does VBA have Dictionary Structure? 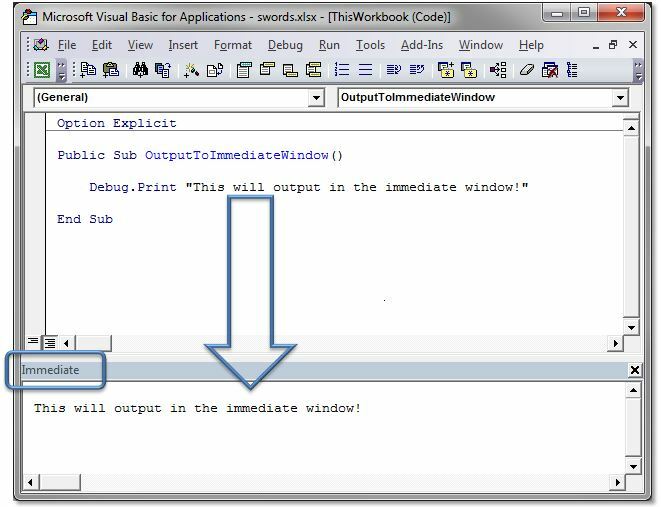 How do I log VBA Debug.Print output to a text file?